This seductive sultana is of chalkware or plaster. 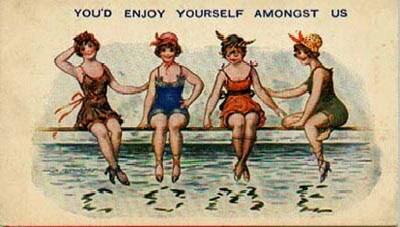 During the early 1900s, there was a fad for pretty plaster ladies, often dressed in real materials, even if it was just a filmy lace chemise. 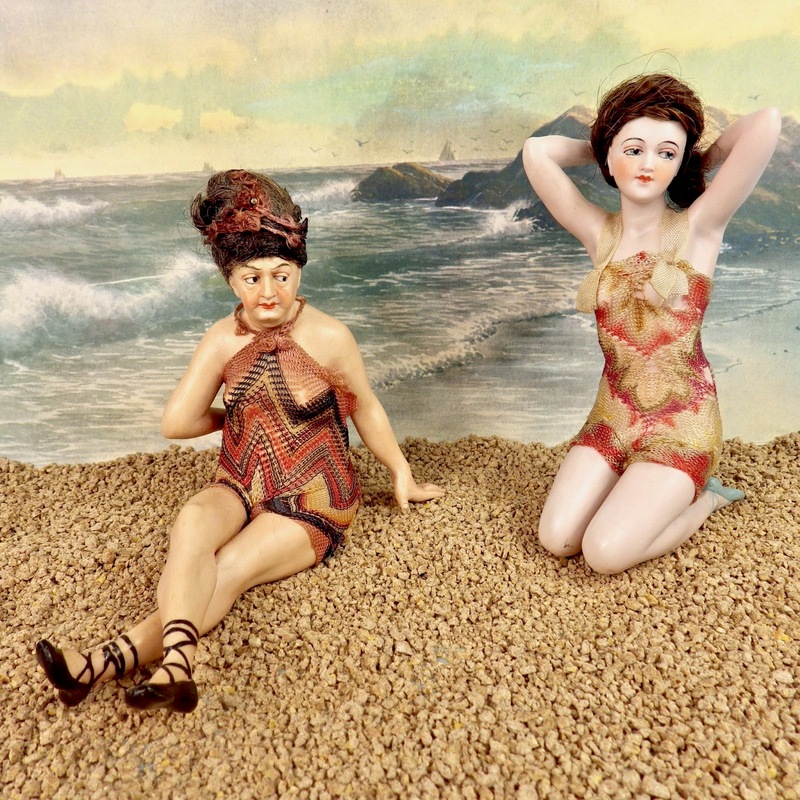 Perhaps the best known of these chalkware coquettes are the charming plaster poupees designed by the famed French Boudoir artist Maurice Millier. I do not know who made this ravishing rani, but she is clad in her original exotic, and somewhat exiguous, outfit. In surprisingly good shape considering the fragility of her materials, she is 11.5 inches tall and unmarked. The quality of both the figurine and her costume are quite high for this type of novelty statuette. Unfortunately, her maker is a mystery. 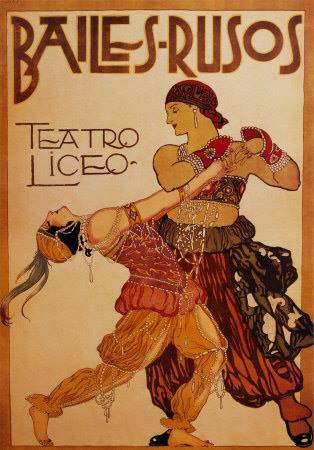 She reflects the West's continuing fascination with Orientalism, imaginative and fanciful depictions of a mysterious, seductive, and decadent Middle East. Her costume appears to have been inspired by the elaborate and lavish costumes created by Léon Bakst for the Ballet Russe's 1910 "Scheherazade." 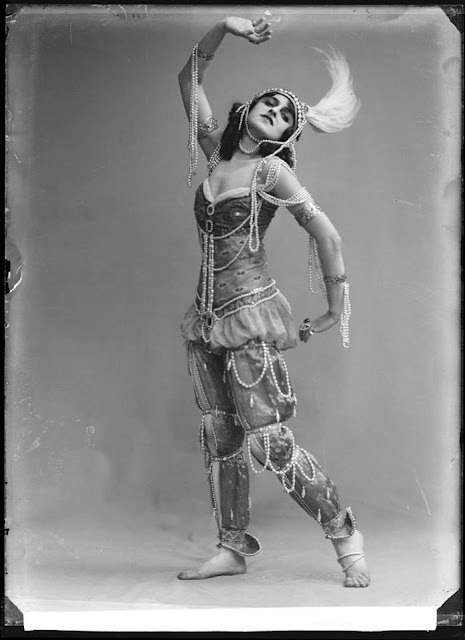 In fact, her outfit certainly resembles (sans a couple of thousand dangling pearls) the costume worn by dancer Vera Fokina, who portrayed the unfaithful Zobéide, the favorite wife of Sultan Shahriyar, even to the openings down the front of the legs, the puffy peplum at the hips, and the contrasting bodice. I took this picture for another project, but I liked it so much I decided to include it on my blog. 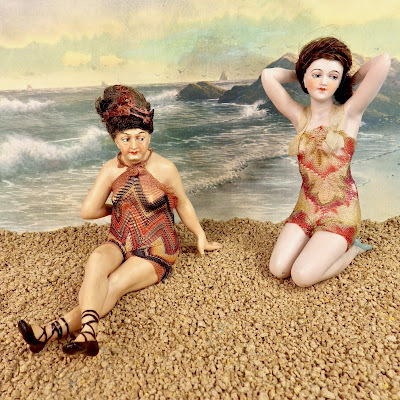 Both bisque bathing beauties are by Galluba and Hofmann and have their original net bathing suits; the more mature lady, a bathing belle fully deserving of the much-abused adjective "rare," has her original wig as well. Her expression seems to say, "Let's just see how cute you'll be in another 30 years, buttercup." This sultry sultana, glittering and gleaming in her molded baubles, bangles, and beads, would be the dream of any collector. By the German firm of Galluba and Hofmann, this enticing odalisque is only 2.25 inches high. She is faintly incised "9000" under her hips. Despite her small size, she has the same excellent bisque and exquisite detail that Galluba lavished on on its larger ladies.